Freediving, the sport where you dive underwater without relying on scuba gear, is an experience that has been around for centuries. Even though freediving is a fabulous activity that’ll get you up close and personal with marine life, it isn’t something you should dive into on a whim. It requires the proper education, the proper gear, and a basic understanding of why freediving is so popular. 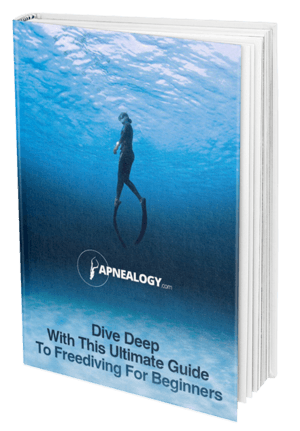 The purpose of this guide is to cover all the important things new free divers should know before taking the plunge. We have a lot of ground to cover, so let’s not waste any time! The sport of freediving is based on subconscious reflexes that we are born with. If you think about it, the first nine months of our existence as an embryo, we are surrounded by an aquatic environment. When an infant is submerged in water, they will hold their breath up to 40 seconds and make swimming movements. They don’t do this because they were taught, they do it because it is in their instincts. The oldest evidence that people would hold their breaths and dive dates back to 5,400 BC. It is believed that a Scandinavian Stone Age culture called either Kjøkken-møddinger or Ertebølle inhabited the coast of Southern Sweden and Denmark. Archeologists believe these people were freedivers who survived on shellfish they were able to harvest from the water. Other evidence can be found that dates back to 4,500 and 3,200 BC from the Mesopotamian and Egyptian civilizations respectively. Even the legendary philosopher Aristotle documented common problems ancient freedivers would experience, such as pain in the ears and nose bleeds. These ancient freedivers didn’t just dive for food, they also dove for goods to trade, as well. The most common of these underwater commodities include pears and sponges. 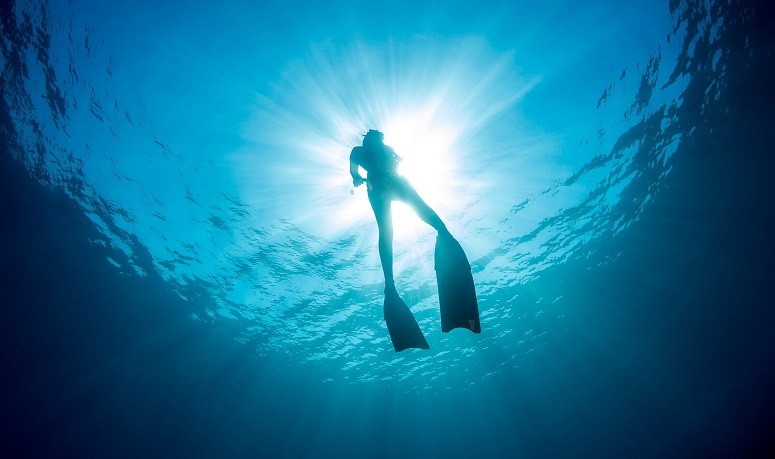 Across Asia, there was a high demand for pears and other goods from the ocean sparked more interest in freediving, and there’s even a famous diving tradition called Ama where Japanese and Korean women would freedive using rocks to help them sink to the bottom, thus allowing them to collect shells and sea weed. Freedivers didn’t just search for food and these pricy goods, they were used in military strategies as well. In 332 BC, Alexander the Great would use freedivers to dismantle enemy underwater booms that would prevent Alexander’s ships from sailing into the harbor during the siege of Tyre. In 1913, Stotti Georghios, a Greek sponge diver, dove an incredible 60 meters in an effort to find the missing anchor of the Regina Margherita, the star of the Italian navy. Georghios was underwater for three minutes and he used a giant rock to reach that depth, and a rope tied around his waist so he could be pulled back up. He was able to do this despite suffering from pulmonary emphysema and was partially deaf due to perforated eardrums. He was successful in retrieving the anchor. Although Georghios was able to accomplish an incredible feat, freediving still wasn’t a popular recreational activity at the time. This is because people had trouble with the cold water, limited vision, and difficulty equalizing. That all changed in 1927 when Jacques O’Marchal created the first mask to cover the nose. This mask would be improved upon by Maxime Forjot in 1938 with the addition of a compressible pouch made from rubber that would pinch the divers nose closed so that the diver could equalize the pressure in their ears much easier. Another innovator, a Frenchman named Louis de Corlieu, created and patented fins for diving (he called them “swimming propellers”) in 1933. Owen Churchill, an American, would later improve on this design and sell the fins to the British and US military during the second World War. The first swim suit was created in 1951 by Hugh Bradner, a physics student and diver. His suit was made from neoprene and like Churchill’s fins, Bradner’s wetsuit was snatched up by the US military to be used by the marines during the Korean War. The first iteration of modern freediving as we know it took place in 1949 when Italian air force captain, Raimondo Bucher, dove to a depth of 30 meters to the bottom of the sea on a bet. Scientists thought Bucher would die because of the pressure at that depth, but Bucher emerged from the water with no complications. She began breaking records when she began freediving in her mid-twenties. In 1998, she dove to 113 meters in the No Limits dive. She also broke the record for No Limit dives in 2003 when she went 160 meters. She also held a record for seven years for Variable Weight dive when she reached 122 meters. He began freediving in the 90s and was able to accomplish a number of records in the Constant Weight, Variable Weight, and No Limits freediving categories. He is also the founder of the Apnea Academy, a freediving agency. Before she passed in 2015, Natalia held 40 world records, some of which she managed to set when she was in her fifties. 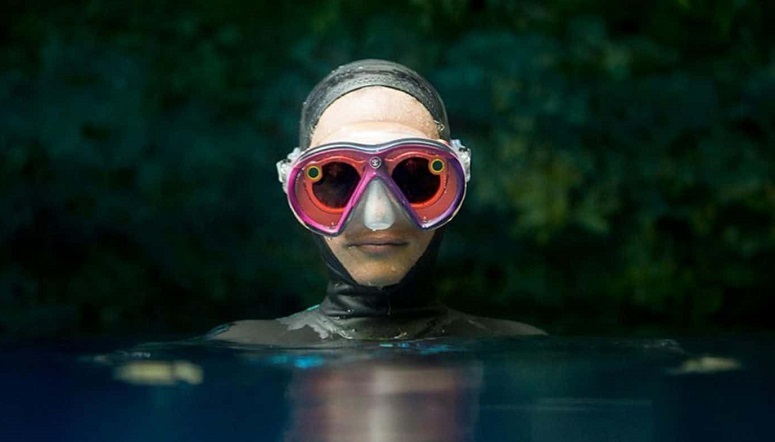 She managed to set records for every woman’s world record for freediving except for the No Limits variant, not because she fell short in some way, but because she never attempted it. He is a double world record holder who has the distinction of being the first free diver to dive to 100 meters without fins for the Constant Weight discipline. This was especially impressive because until 2003, it wasn’t even believed to be possible to reach that depth without using fins. 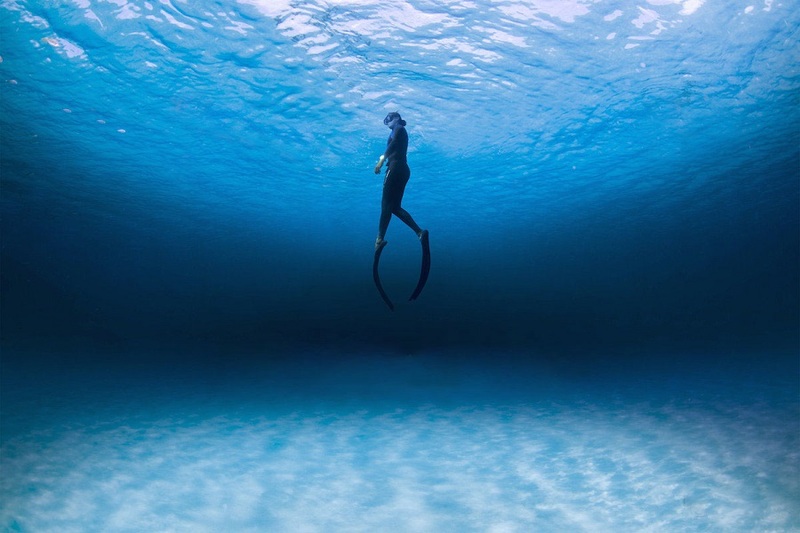 This free diver has held 32 world records for every discipline within freediving. He currently is the No Limits world record holder, as he was able to descend a staggering 214 meters. There are a ton of freediving masks on the market. Look for a mask that doesn’t have a lot of space between the mask and your face because that means you won’t need so much air in your lungs to equalize. 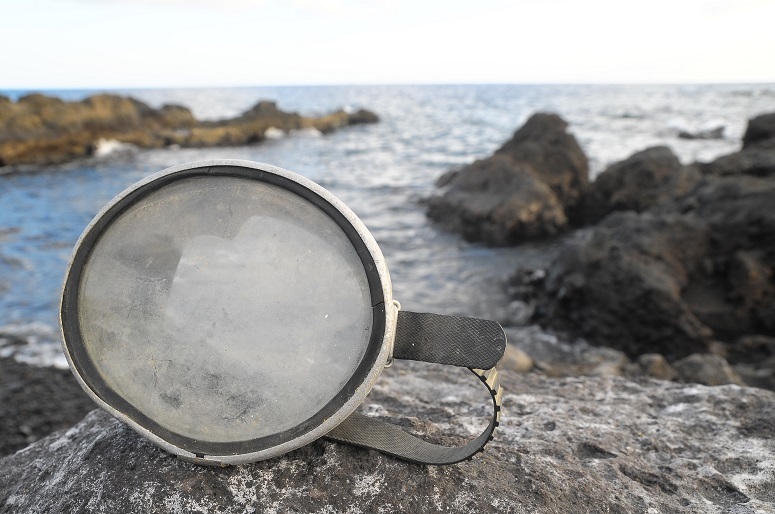 The lens should be clear so that you can see where you’re going, but also so your diving partner can see your eyes and keep an eye on your condition. The nose pocket is going to let you equalize the air in the mask, thus reducing the risk of rupturing capillaries in your eyes. Also, the mask should have a soft silicone skirt all the way around it so that it creates a good seal around your face. 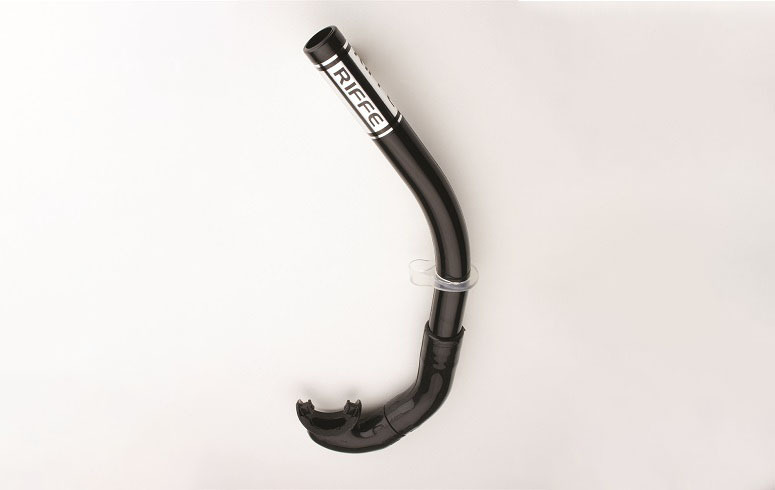 The snorkel you choose should be simple and designed to be easy to use. There should be a soft silicone mouthpiece that fits comfortably in your mouth. There should also be a way to attach the snorkel to your mask so that it doesn’t get lost when you dive. You have the option of using regular freediving fins or a monofin, which will leave you feeling like a mermaid more than a free diver. If you’re like most free divers who prefer freediving fins, you will want to look for fins that are long and feature a full foot pocket. Note: For more on how to choose the best freediving fins, check out our buying guide! Weights are usually worn by free divers because they need to compensate for the amount of buoyancy their wetsuit has. The weights ensures the diver is neutrally buoyant for the desired dive depth. Keep in mind that the weights are different for recreational freediving, competitive freediving, and spearfishing. 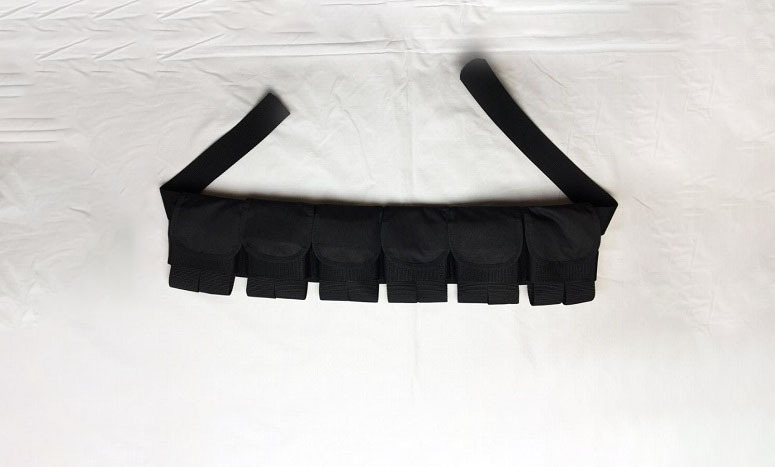 Exposure suits are designed to protect the diver against the elements. 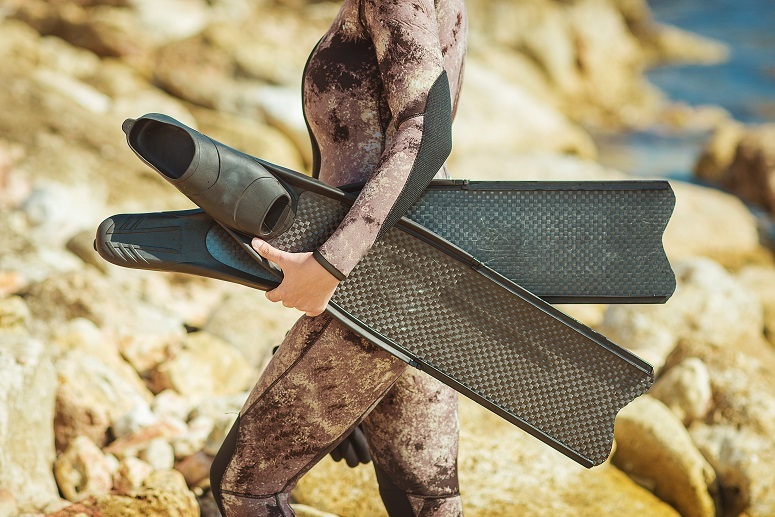 The wetsuit is going to help keep the divers warm in colder water, but if you’re diving in warmer water, you could wear a neutrally buoyant suit to keep you safe from the sun, jellyfish, and other dangers. As a free diver, it’s important that you have good breathing techniques. Here are a few ways you can improve your breathing technique and make the most out of your freediving experience. There once was a time were free divers were taught to hyperventilate before a dive to remove CO2 from their system. This isn’t recommended much anymore because it is possible to remove too much CO2. Today, freedivers understand that by lowering your CO2 levels too much, they risk missing the warning signs that let you know you need to breathe, which causes divers to drown. Instead of hyperventilating, you will want to breathe in deeply until you can feel it all the way in the pit of your stomach. Do this three times and on the fourth breath, fill your lungs all the way right before your dive. Once your dive has official begun (meaning you’re underwater and your lungs are filled), you will want to conserve as much energy as possible because using energy means you’re using oxygen. Instead of swimming down, use your body weight to push you to the bottom. To do this, you will want to lie still while near the surface. Then bend at the hips to create a 90=degree angle – your torso should be perpendicular to the bottom of the body of water. Next, you’ll want to raise your legs until they are pointing straight up toward the surface. The weight of your legs will start to push you down. You should only begin finning once your entire body has sunk below the surface of the water, and this is the point where your descent will be gradual or stop completely. The more energy you use, the more oxygen you are burning, so you’re going to want to be mindful and deliberate with your movements. The slower you’re able to move your body under water, the longer you’ll be able to stay underwater. If you aren’t wearing fins, your best stroke will be the breaststroke. When you’re moving your arms from the bottom position at the end of the stroke to the front of your body, you need to keep your arms as close to your body as you can so that you don’t inadvertently slow your speed. Avoid holding your head up to look ahead. Your chin should be tucked into your chest so that the water flows over your head, thus being more streamlined. This will result in a faster descent. When you’re fining, you should never use your thighs to push down because this can cause the blade of your fin to go past the center line of your body. Instead, you should be using the top of your feet to press down so that you get proper propulsion through the water, rather than making your blade slice through the water. When you’re returning to the upward position, you’ll want to release the force from your foot and instead focus on contracting the muscles in your glutes to bring the leg up past your body’s center line. The fin is going to keep going upward, thus helping you thrust. You can increase your lung capacity by taking a slow, deep breath while you open your shoulders. Keep trying to inhale while you flex your diaphragm. You will then want to hold your breath for four seconds before you exhale slowly and completely. Do this in sets of eight, but remember not to hyperventilate! Next, with your lungs completely full, you will then want to hold air into your mouth and then swallow the air, adding the air to your lungs. Continue “packing” air into your lungs four more times. Then you will want to exhale slowly and repeat. As you continue to do this, you’ll find that you’ll be able to “swallow” more air. 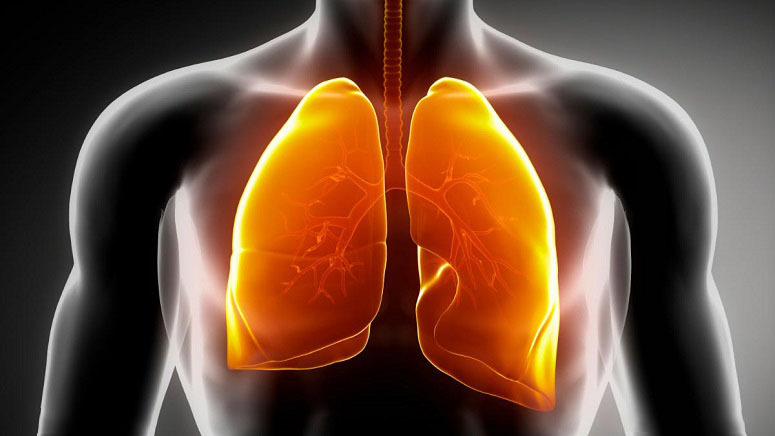 Warning: Some physiologists believe packing air into your lungs can have a negative impact on lung elasticity and it could put you at risk of collapsing a lung once you reach a depth higher than 25 meters. A free diver can become dehydrated due to immersion diuresis, sweating in the wetsuit, and exhaling through your mouth. Like every other athlete, free divers require a special diet so that their blood sugar levels remain stable throughout the dive. A good rule of thumb should be to not eat two hours before your dive because when you’re under water, your digestive system slows down, which will cause any undigested food to sit there, thus making you burp or experience acid reflux. As a free diver, your body temperature is going to change dramatically once you go under water. In fact, your body loses heat 25 times faster when under water and hypothermia can set in if you don’t have a thick enough wetsuit. If you forget to put air into the mask during your descent, the capillaries in your eyes could rupture and make the whites of your eyes all red. Forgetting to put air in the middle ear during your descent could cause your eardrums to become perforated or even rupture. You can avoid this by equalizing frequently and effectively. This is caused by the formation of bubbles of gas (usually nitrogen) that happens when there is a change in pressure during freediving. This can cause the diver to have problems with their joints, lungs, brain, heart, and the skin. A blackout can happen when your body doesn’t have enough oxygen. This can happen underwater because you’ve held your breath too long, or it can even happen after you surface because of poor recovery breathing. Freediving, when done correctly, can be a fantastic activity for those who love the water. Although this guide provided you with the basics to get you started, you should look into courses where you will be trained on proper breathing techniques, diving safety, and much more. As a first-time diver, safety should be important so that you don’t experience any of the dangers we’ve mentioned here. Leave us a comment below and tell us what sparked your interest in freediving.